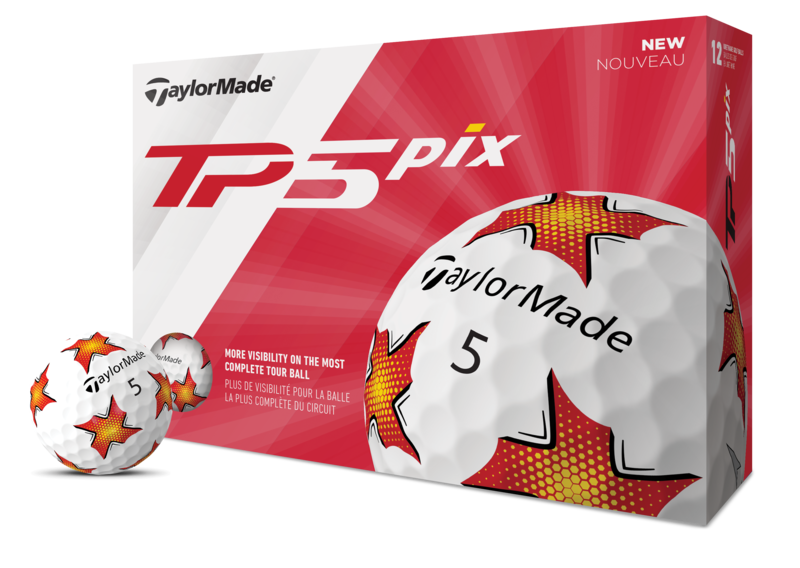 The fastest growing segment for TaylorMade in the golf ball category is non-white (traditional) product. Golfers’ growing trend toward playing a golf ball that allows for a different look has also opened the door to improving visual performance and visual technology through the use of machinery that has never before been used in the space. "White, round and sits on the ground is no longer the norm for golf balls. Visual technology has given us the opportunity to not only change the appearance of the golf ball but also allows for players to see immediate feedback where spin matters most – on and around the greens." 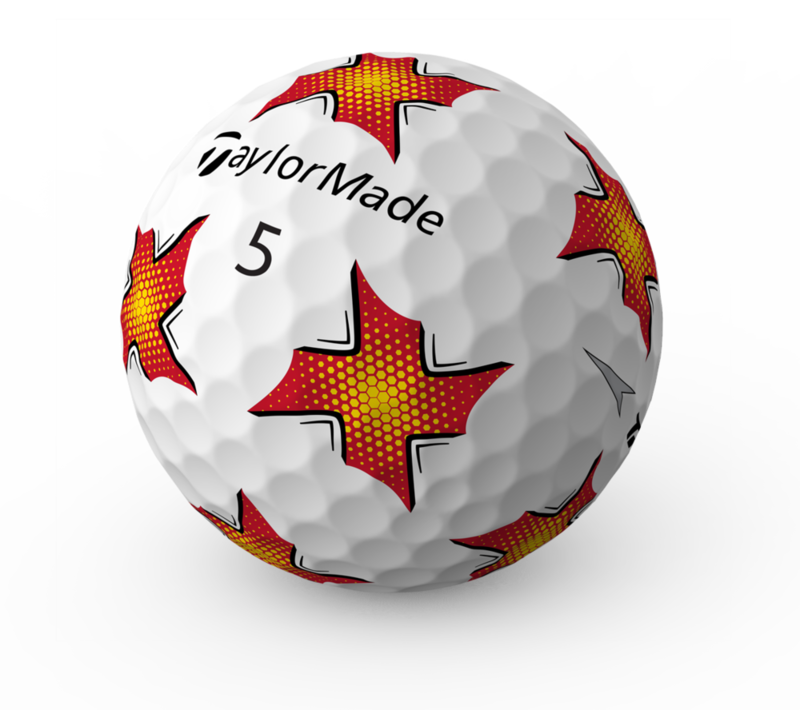 Durability of graphics is a foremost concern on any golf ball with graphic or lettering, and to contest wear and smearing of the graphics on TP5 (and TP5x), engineers have utilized under coating printing to ensure maximum graphic durability. This is the same process the TaylorMade logo and TP5 side stamp goes through to ensure the performance features of the shapes will last as long as possible. The Tri-Fast Core consists of an extra-large, low-compression inner core (16 compression in TP5 Pix, the exact same as TP5) and a progressively stiffer outer core and mantle. 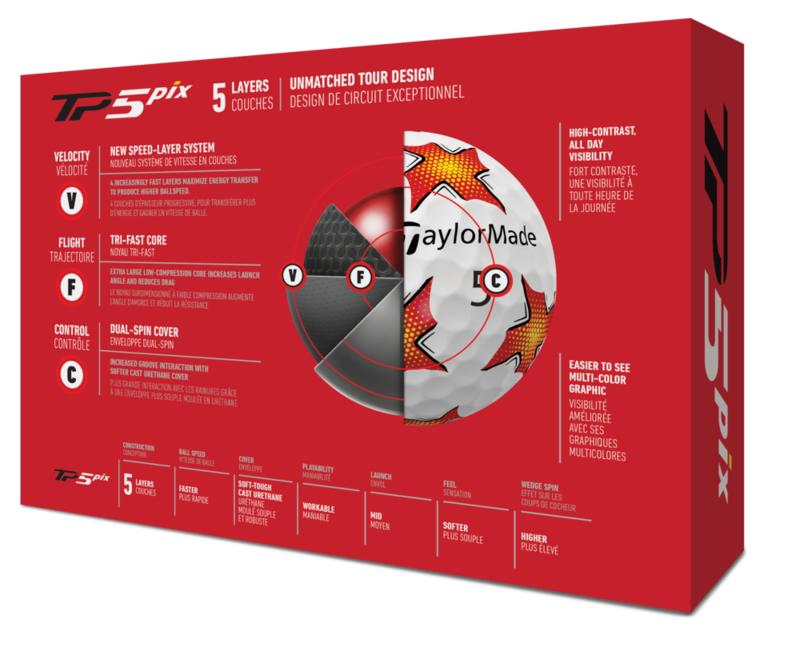 The combination of these three layers work in conjunction to create lower drag and increased carry—the primary reason TP5 and TP5x have become the hottest Tour balls in golf. The Tri-Fast Core delivers breakthrough iron performance by achieving maximum carry, giving golfers of nearly every swing speed (over 60 MPH) choosing less clubs into the green. Additional enhancements in the 2019 TP5 and TP5x models includes a new Soft-Tough cast urethane cover. In order to achieve improved scuff resistance, shear resistance, and overall durability, the new cover features a cast urethane compound and new paint formulation to help each ball feel better and last longer.